Lara Dutta and Bobby Deol are new cinestars showcasing fresh Pantaloons designs for the season. While Isha Sherwani showed some chik Ethnic Pantaloons desings, Lara and Bobby are in cool casuals. Bright colors and hot cuts define the new Pantaloons line. Lara Dutta look gorgeous in different designs with loads of colors. Western cuts with touch of Indian designs define Lara’s look. 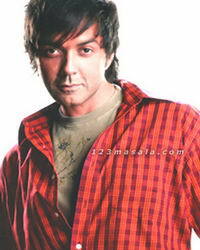 While Bobby Deol is looking like a cool dude with T-shirt and shirt combo. Check what’s inn this season from Pantaloons courtesy Lara and Bobby.